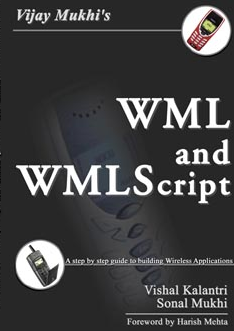 This book offers an introduction to building pages for the wireless Web page with WML and WMLScript. It capatilizes on the pedagogy of the beginner guide series and includes modules, one-minute drills, annotated code and an analysis section. Get started with WML and WMLScript and create your first real-world Wireless application using this hands-on introductory resource. You'll get full details on the Wireless Web and WAP, and learn how to use WML to build pages and applications that run on your Web-enabled cellular phone. From formatting text, displaying images, and creating wireless bitmap files, this essential guide provides you with all the tools you need to construct your own wireless Web site and other useful WML-based applications. You'll also learn to use the WMLScript libraries to improve functionality of your wireless applications. Written by wireless expert, this thorough and easy-to-understand guide is the only book you need.